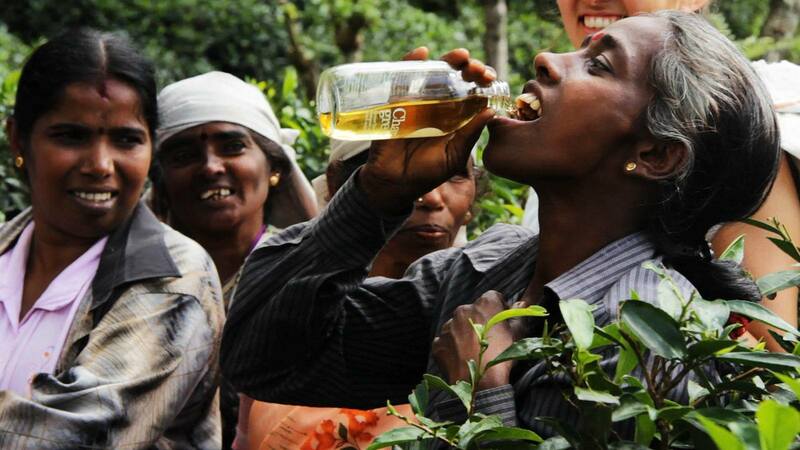 Ceylon – Sri Lanka’s old name stands worldwide for premium quality tea. Idulgashena tea garden is even more demanding: as well as the highest possible quality, they value organic cultivation and Fairtrade. Sri Lanka’s climate is ideal for growing tea to the highest possible standards. These teas are usually grown on large plantations by tea-pickers in poverty who also often live on the plantation. That makes them dependent on the owners for their basic needs like drinking water, sanitation and also their children’s education. As the first tea garden certified to both organic and Fairtrade standards, Idulgashena is a shining example of the fight against exploitation and environmental destruction and how it can be successful. Tea has been grown to organic standards there since 1987, and since 1999 even bio-dynamically, which meets the strict standards of the Demeter society. Fairtrade conditions allow the local tea growers to keep on and on improving their living and working environments. On top of a guaranteed purchase price, the tea garden receives a Fairtrade bonus, which the democratically-organised farming community can decide how to use. In Idulgashena, fair trade standards are set. The extra income has enabled them to set up a department for social development with over 60 social workers, childhood experts, carers for older people and family advisors. There are also comprehensive health services and training courses now, as well as a house-building programme which allows the workers to own their own homes. Additionally, it has funded seven nurseries, six primary schools, a social development centre, two medical centres, a lending library and a bank for the workers. The Lemonaid & ChariTea Foundation funds further projects in Sri Lanka, like the vocational school Diyanilla Technical Institute and the PEaCE Project against child abuse.